There has been a “storm” brewing here at Sematext recently. Fortunately this has nothing to do with the fierce winter weather many of us are experiencing in different parts of the globe — it’s actually a good kind of storm! We’ve gotten a lot of requests to add Apache Storm support to SPM and we’re please to say that is now a reality. 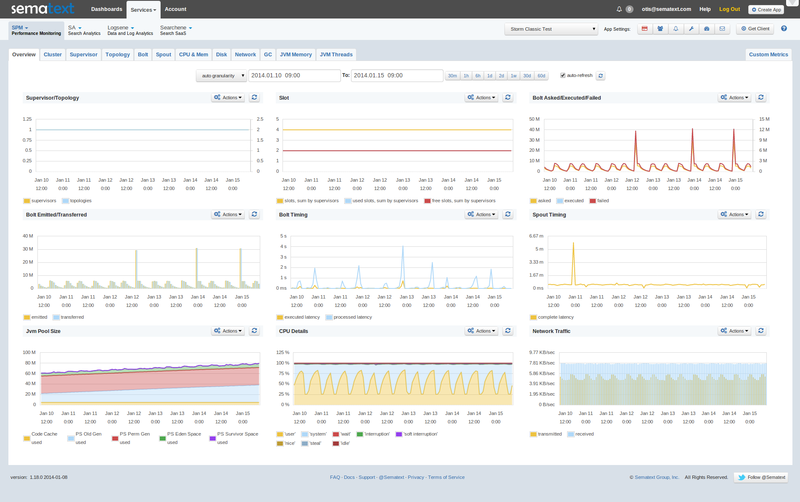 SPM can already monitor Kafka, ZooKeeper, Hadoop, Elasticsearch, and more. As a matter of fact, we’ve just announced Redis monitoring, too! 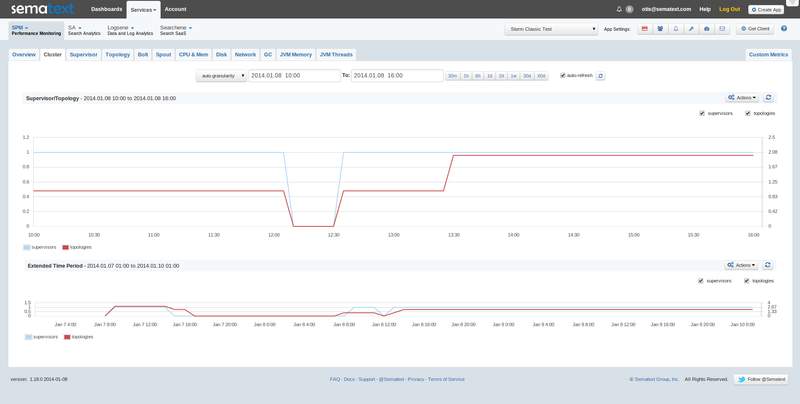 SPM users can see different Storm metrics in dynamic , real-time graphs, a big improvement from the standard Storm UI which only allows some time-specific snapshots. Isn’t it better to see trends as opposed to static snapshots? We certainly think so. 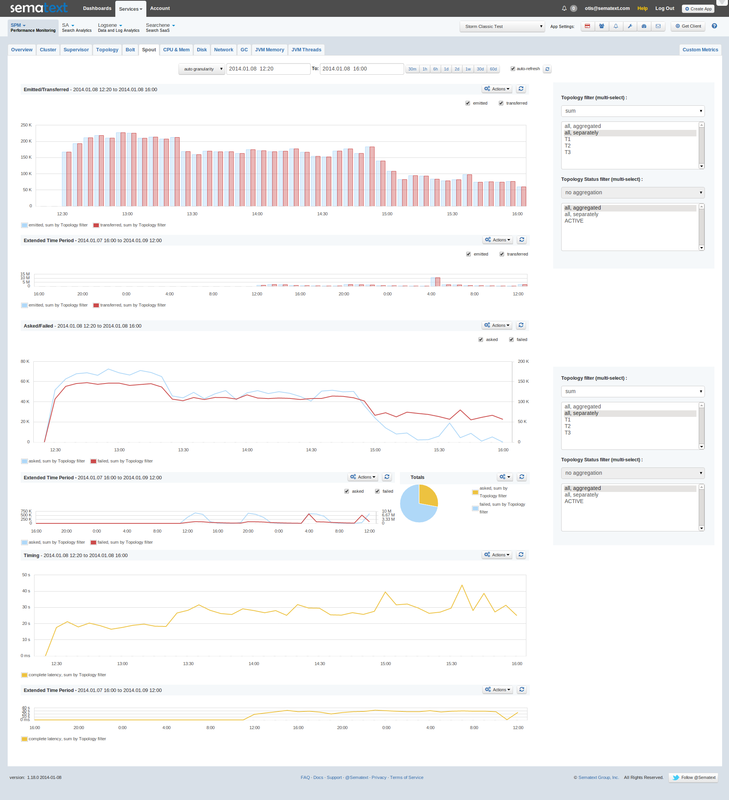 SPM also provides its users with common System and JVM-related metrics like CPU usage, memory usage, JVM heap size and pool utilization, among others. 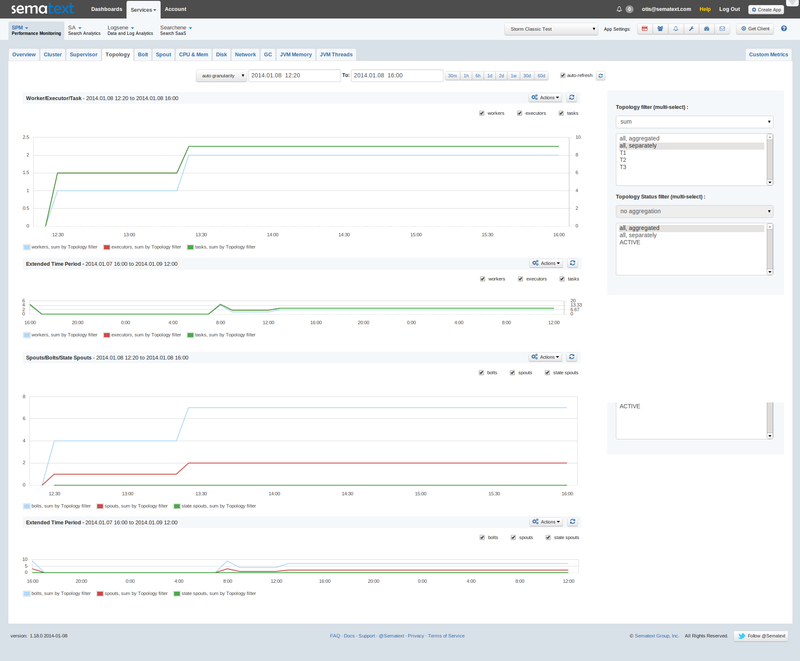 This lets you troubleshoot performance issues better by allowing you to correlate Storm-specific metrics with common System and JVM metrics. 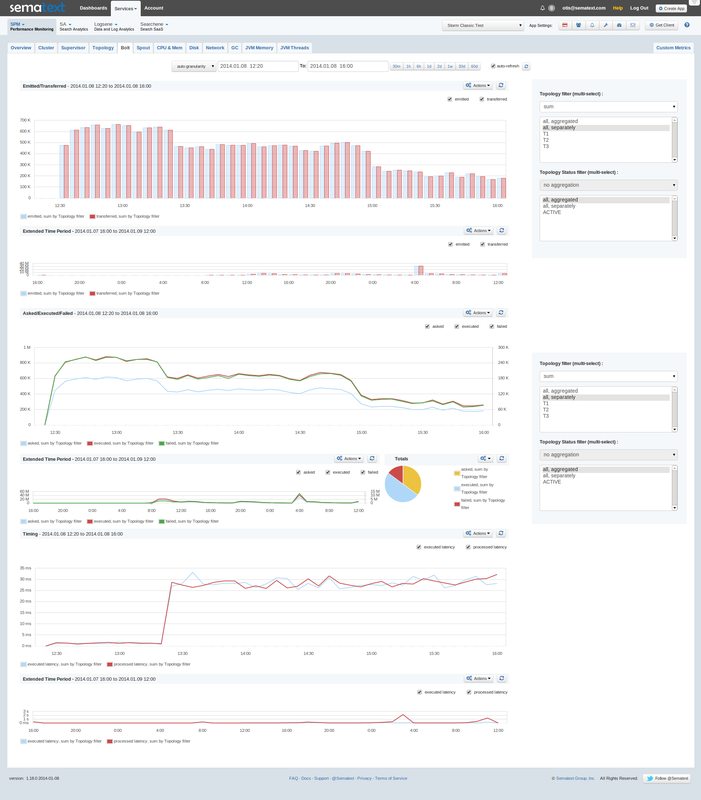 Also important to note — users can add alerting rules for all metrics, including Algolerts and heartbeat alerts, as well as receive daily, weekly, and monthly performance reports via email. On the first chart you can see how the counts of tasks and workers grew. It is because a new topology (“job” in Storm terminology) started at 12:25. The same as above: you can see that between 12:00 and 12:30 Storm Supervisor was restarted (something that works on each machine inside the cluster) and topology was added after restarting. Give SPM a spin – it’s free to get going and you’ll have it up and running, graphing all your Storm metrics in 5 minutes! I think you have some of your terminology wrong in those images. In a lot of them you have the word “asked” where I think you want the word “acked”. Jason, sharp eyes, good catch! Typos indeed. The post is fixed, SPM will be fixed before Monday, and we’ll update the screenshots on Monday. If you spot anything else that’s off, please let us know. Thanks!